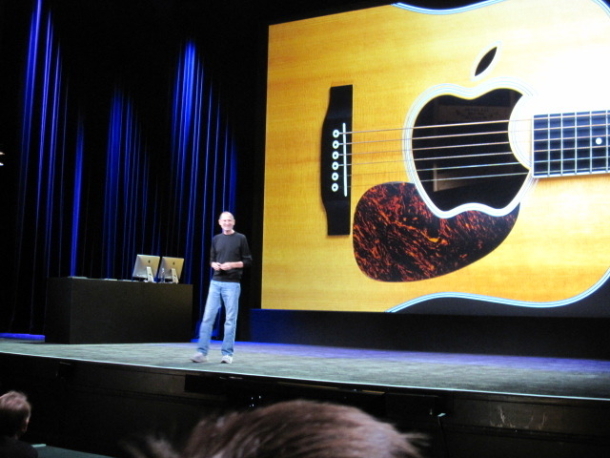 Apple has posted the Wednesday event online, which introduced the new iPod Touch, iPod Nano, iPod Shuffle, iOS 4.1 with iOS 4.2 preview, iTunes 10 with Ping, and Apple TV. At Apple's press event Wednesday in San Francisco, CEO Steve Jobs shows off the latest version of the iPod Touch. The new Touch shares many features with the iPhone 4, including Apple's Retina Display technology, a front-facing camera, and FaceTime.